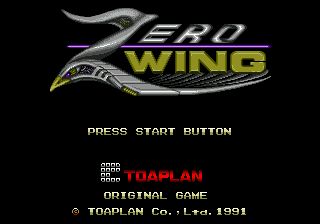 I love Zero wing, not just for it’s bizarre official translation, but also for the fact that it is (in my opinion) one of the more solid Mega Drive shooters. I was pleased to see a patch for one of my favourite Mega Drive games, but am uncertain as to it’s actual usefulness. I have all three regional variations of the Mega Drive/Genesis Console, I also have a UK version of the game, a JP version of the game and an Everdrive v2 from Krikzz. 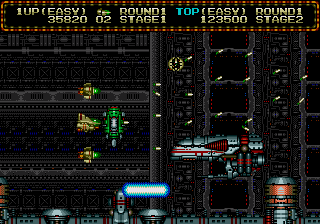 My UK version of the game works perfectly on both my Genesis and my JP Mega Drive, as does the “Europe” ROM when using my Everdrive. I thought the purpose of this patch may have been to address some kind of speed issue when using the European version on 60Hz hardware, but after applying the patch I could find no difference. 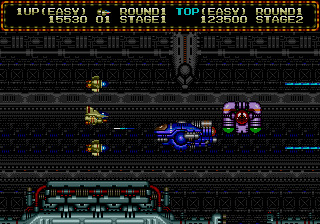 For comparison’s sake, I also tested the JP cartridge on my UK Mega Drive and could see no difference (other than the usual horizontal borders at the top and bottom of the screen). 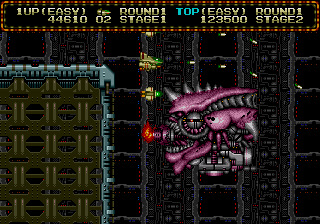 So in conclusion, perhaps I am missing something, but this patch appeared to offer nothing in terms of performance as my UK cartridge appeared to work perfectly on both of my 60Hz (US and JP) consoles. Could it be that this patch is designed to make emulators play the game in 60Hz rather than defaulting to 50Hz? But with most emulators I have used, you can easily set the output to 60Hz without the need to patch the ROM first.